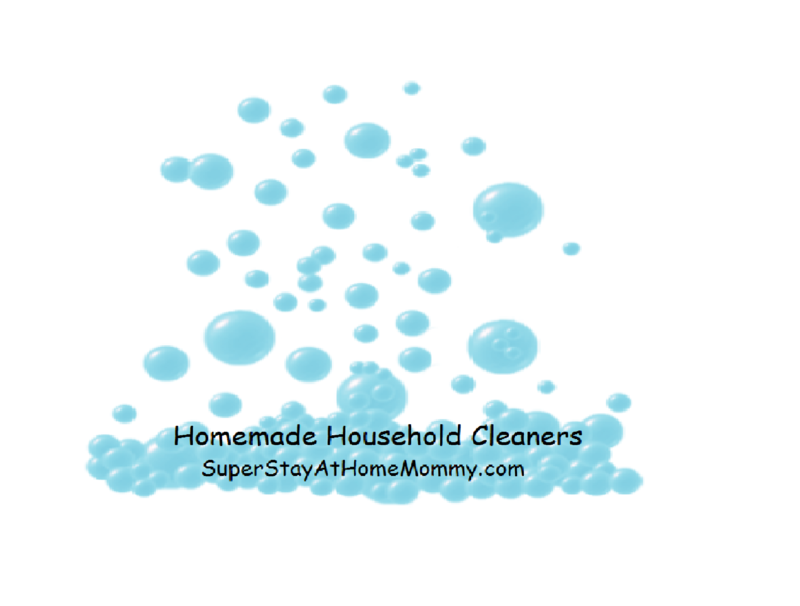 Homemade Household Cleaners | Super Stay At Home Mommy! Wow, sorry it has been so long since my last post! We have been busy, busy, busy, and I haven’t been feeling too hot. But now I am back with a great post! I have compiled a list of great homemade household cleaner recipes. With a toddler running around, the importance of having a natural/homemade cleaning aid is a concern- there are just too many harmful chemicals in the stuff you buy at the store. Not to mention, you can save a buck or two making your own! If you have another great cleaner to add to the list, let me know!